Informational hotline 856-428-1048 finds services, programs & resources to assist you or a loved one at home, in the community or at the hospital. 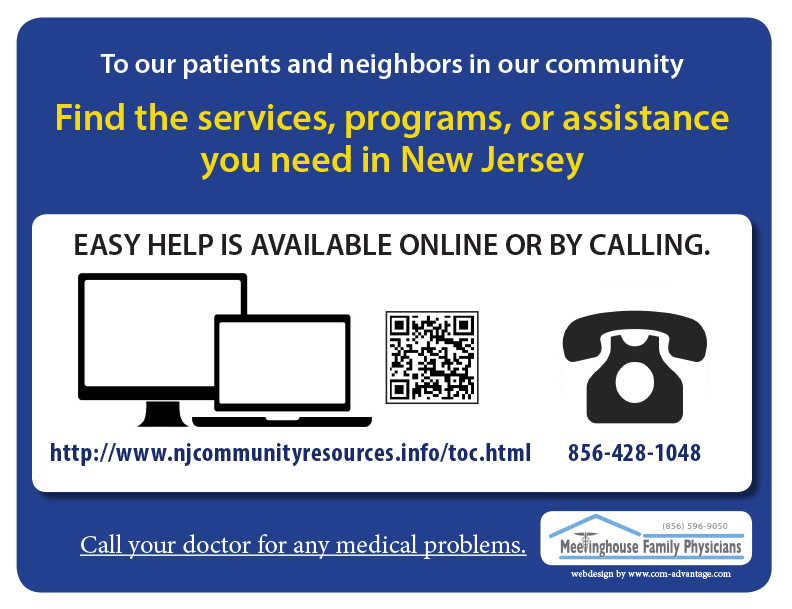 Click on: NJ Community Resources – Answers within 72 hours. You are not alone. We are here to help you with your role as a caregiver. If you need assistance, services or desire to discuss your situation with a person who has lived it already. Call our hotline at: (856) 428-1048.